Support popular vocoders including G.711 (alaw and mulaw), G.726, GSM, iLBC(20ms and 30ms) and Speex. Support DIGEST authentication and encryption using MD5 and MD5-sess. Support one button audio-recording feaure. 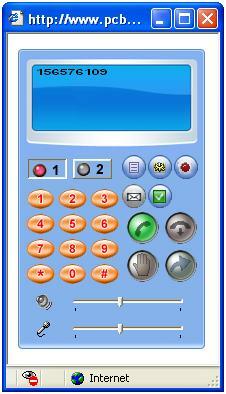 Click here to get about: How to use this ActiveX in webphone solution. Step 1: Download Trail Version 1.220 (The limitation of the trial version is that the conversation will be cut off after 3 minutes and softphone can only run one hour). 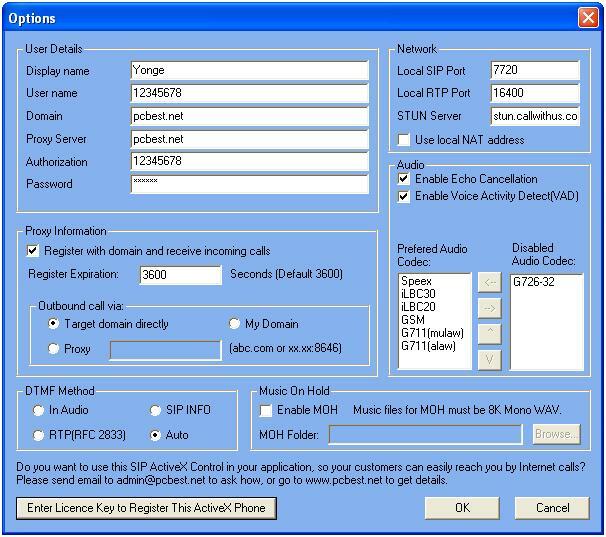 Step 3: Launch web phone, or application phone in Start/All Programs/PCBEST Network Webphone/WebphoneApp.exe. 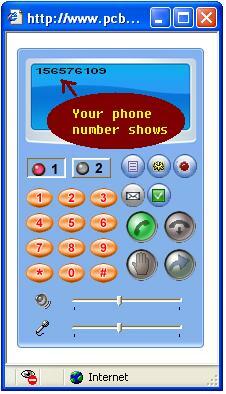 Step 4: Configure your sip account, then restart(If you want to receive incoming calls). If you don't have SIP account, you can still make outbound test calls by doing step 6. Step 5: To see if your sip account number is displayed on the screen. Step 6: Dial out. To make a test call, you can dial 8888@pcbest.net to hear a test music or 8000@pcbest.net to do echo test.